Interlochen Public Library Presents: T ‘N’ T Create! Pencil Drawing Made Easy. 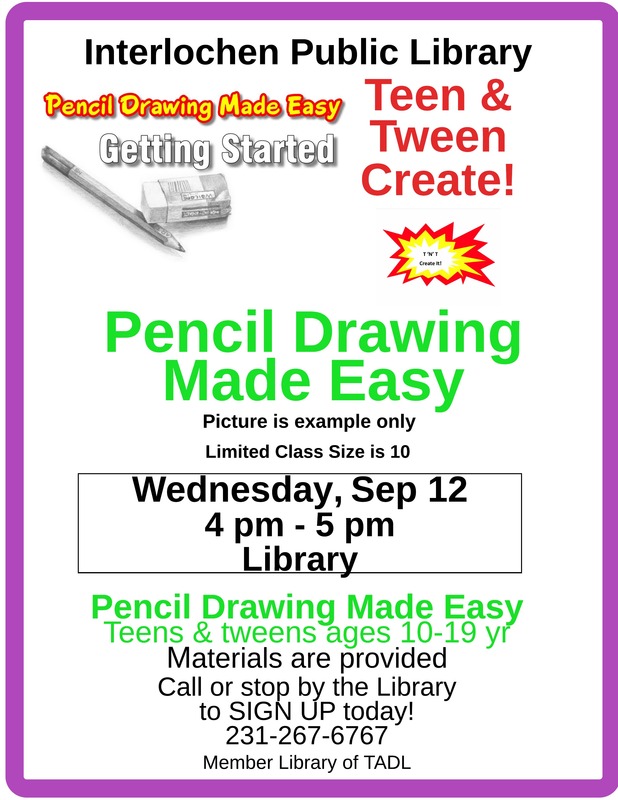 Tweens and Teens (10-19 yr) join us at Interlochen Public Library Wed., Sep 12, 4-5 pm. Beginner class to learn pencil drawing techniques. Materials are provided. Sponsored by the Friends of IPL and IPL. Call the Library to sign up today 231-276-6767.